Marketing your business can often seem like opening a can of worms. Its hard to know where to start without being overwhelmed. Entrepreneurs, business owners, businesses and organisations alike need all the help they can get. That being said, wouldn’t it be useful to have a resource page of tools that help you make sense of your marketing? Say no more… Synkd bring you the ‘My Resources’ page. Words or ‘copy’ (to use the technical term) are the foundation of any good marketing content. The graphic design might make it look ‘pretty’ and engaging, the strategy may be spot on, but if your message doesn’t hit those ‘hot buttons’ your customers simply won’t convert and that will reflect in your results. The answer? Introducing ‘Power Words’! Discover how power words can help ‘power’ you to more marketing success below. Download your very own FREE marketing resource to help you ‘master your marketing’. Power words are words that help your brand and brand messaging stand out and create impact in your customers hearts, minds & souls. Power words, if used correctly, can help compel customers to take action, to engage, to convert and resonate with a view to taking the next step – whether that’s downloading a pdf, signing up for a newsletter or making a purchase. Look out for more Power Words resources over the coming months as we reveal a series of awesome, insightful and useful Power Word tools that help you ‘make sense of your marketing’. Simply download this collection of ‘Power Words’ and use them in your next marketing campaign or collateral for increased engagement, conversions & sales. 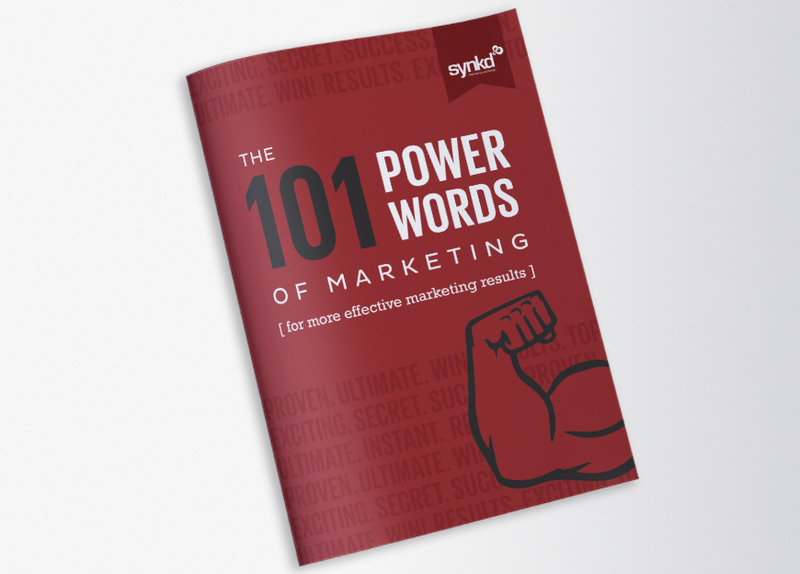 Synkd’s 101 Power Words of Marketing: simply click on the ‘Download Now’ button to get your FREE download pdf. Announcing Synkd’s NEW hot off the press ’40 Naughty Words’ – the latest edition to the ‘Power Words’ collection. Click on the ‘Download Now’ button to get your FREE downloadable ’40 Naughty Words’ pdf.